Vaughn Meadows Neighborhood Association is a voluntary organization of homeowners in which the board is elected to fulfill the obligations of the association. The Association provides a common basis for preserving, maintaining and enhancing the neighborhood. Dues are used to pay for expenses that arise from having and maintaining common property and security cameras. Beyond the monetary obligation, the Association’s mission is to enhance of all aspects of living in the Vaughn Meadows neighborhood. This includes neighborhood beautification, security, friendliness and fun. Landscaping projects give neighbors a chance to get involved while our two annual events, the Spring Party and December Holiday Party, provide opportunity for fun and neighborly fellowship.​ Quarterly neighborhood meetings are open to all residents (not just VMNA members) are attended by the Association's board members, are frequently attended by city officials, and always feature a guest speaker. We, like many neighborhoods around Montgomery, have installed security cameras at the entrances to our neighborhood to deter criminals. We do not tolerate crime in our neighborhood and work actively to stop it in its tracks. Installed in 2017, the security cameras were purchased with funds raised by residents and gifts from our city councilman and county commissioner. The power to operate them and their long term maintenance is the responsibility of the Neighborhood Association and paid by membership dues. Please join. What are the Vaughn Meadows Neighborhood Association rules for gaining access to camera data? 2. Don’t delay reporting the incident. You must file a police report. 3. Provide a time, within one hour, when the crime occurred. 4. The incident must be serious. Not a theft of someone’s bicycle. 5. Get as much information about the incident as possible. If you request data, we may put the incident out over the neighborhood email group to see if anyone else may have seen or heard something. It is critical to get a good idea of the time and place of the offense as well as the likely direction the offenders took when they departed your home. Check with your neighbors to see if they have any security measures on their property that can help you narrow down a time frame before making your request. 6. Provide a flash drive (at least 16 MB) to be used to provide the data to police. ​The Security Camera Committee has access to the camera data, which belongs to the Association. Camera footage can only be obtained by contacting Joe Guillot. Please keep in mind, camera data requests must have a narrow and specific window of time to be effective. Also, please note that camera data is only stored for approximately 20 days, after which the data will be lost because the DVR has limited storage capacity. All residents are encouraged to join the VMNA to help guide new initiatives that enhance our community. Included with the annual household membership are two major events: the Spring Party and the Holiday Party, a chance to win one of six annual "yard of the month" Beautification Awards, as well as access to near-instant neighborhood security alerts and notices. 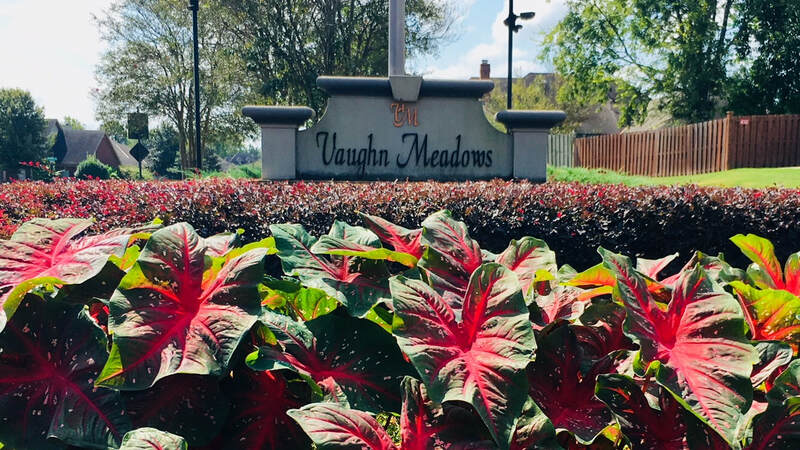 Annual dues of $75 is all it takes to become part of the group of neighbors that take pride in their homes and continually strive to make Vaughn Meadows an ideal place to live. Every homeowner is welcome and embraced! Officers and Directors are elected at the January Annual Meeting. The number can vary, but these are the current board members, each elected for a one year term and eligible for re-election.